You can follow any number of paths to get from an initial idea through final deliverables on a project. The trick is finding the way that best helps you keep track of all the moving parts to make sure nothing falls through the cracks. 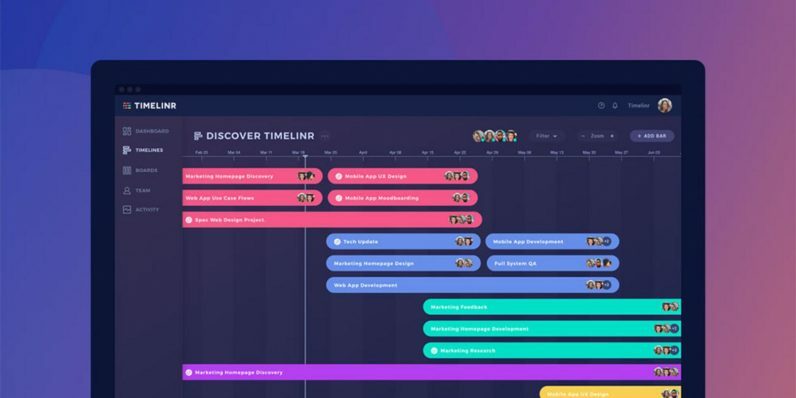 For many, a clean, visually-based timeline is a great roadmap to project success — so Timelinr has figured out a simple, all-encompassing method for managers to keep the reins on their projects in an easy-to-navigate environment. You can explore all the advantages of Timelinr’s Personal Plan project mapping services right now at over 90 percent off, with lifetime subscriptions starting at just $29.99. Timelinr pushes paper, whiteboards and the other old-school project tropes right off the map. With Timelinr, you can create nuanced project plans in literally seconds, layering in all the guideposts and deadline dates a team needs to guide their work. Timelinr’s streamlined interface presents a view showing all your project steps, who’s responsible and when. Timelinr lets you bring in team members and stakeholders and help everyone collaborate, follow changes and see how their individual color-coded contributions fit into the whole. From core objectives to each granular stage of the project, Timelinr creates an attractive visualization of your work that helps everyone instantly follow your group progress. A lifetime subscription to Timelinr’s Personal Plan is over $400, but with this limited-time offer, you can get full access for one for just $29.99. Or you can outfit your office as well, with three-person ($39.99) and five-person ($49.99) plans also available.